Code your robot puppy to help Nancy Drew solve the mystery! 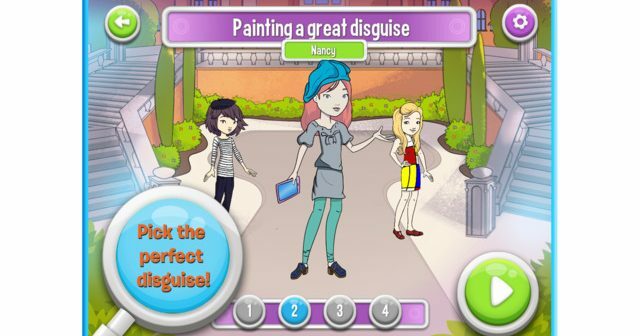 As a member of Nancy Drew’s de-TECH-tive crew, choose disguises, find clues, and program your robot puppy to solve the mystery of a missing project at the Tech Fair. The mystery unfolds in a full narrative story spanning six chapters, as Nancy and friends encounter students who may have taken the missing project. 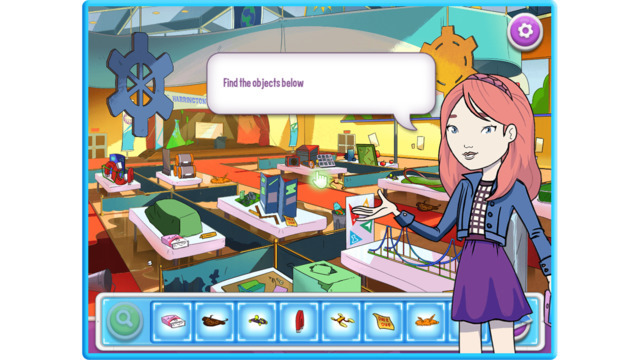 Help Nancy track down suspects and discover what happened to the project before the Tech Fair competition begins! Throughout the game players develop and use their growing de-TECH-tive skills. Players find clues in hidden object games and apply basic coding concepts to code their puppy and help Nancy out of tight spots at the end of every chapter. It’s the ultimate introduction to computer programming as the coding challenges increase as the story progresses and leads to a super coder award. 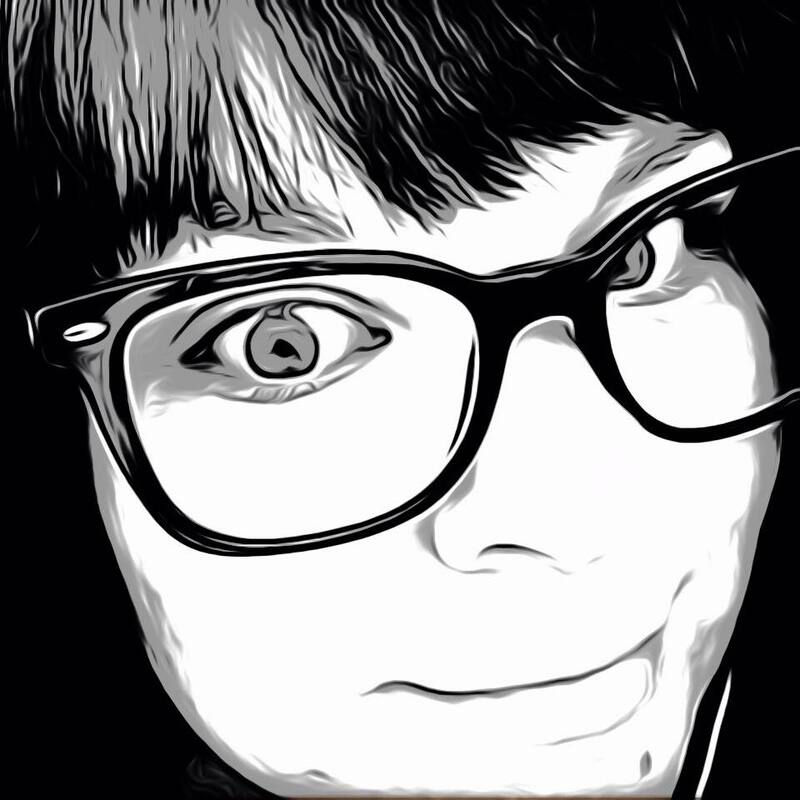 • Listen to the “Codes & Clues” theme song composed by Berklee College of Music contest winner, Ana Tish, performed by Sofia Mazursky and produced by Grammy Award winner Tena Clark. Nancy and her friends are entering their robot puppy invention into the Harrington Prep Tech Fair for River Heights. Your first task, name your robot puppy. Then choose outfits for Nancy and her friends. Short animated scenes set up the story during each chapter, introducing the girls’ characters. If you have played through the chapter before, you can fast forward through scenes you have already watched. A catchy teen pop Nancy Drew theme plays in the background as you start the first chapter, “No Treats for Gustave”. Nancy and her detective friends find that their table mate Alexa has had her tech project stolen. You are then given the scene to look for clues. Like a search and find puzzle, you must locate the hidden clues that are shown in a list at the bottom of the screen. Once you have found all the items, they are added to Nancy’s clue book. As items are added to the clue book, the detectives will make comments about each piece of evidence and lead to a suspect. When the girls suddenly get into a tough spot, it is then the robot puppy’s turn to lend a hand. Line-up the assorted commands in the right order to move the puppy to the desired locations. Nancy Drew: Codes & Clues is learning done right with an interesting plot and interactive games to keep the user engaged. Without knowing it, coding basics are taught by adding simple instructions to move Nancy’s puppy along. As the case gets more interesting and the suspects add up, your child is sure to breeze through all six chapters without ever knowing they were learning the entire time. I love the clean animated look and the style of the characters. Another plus, there are no in-app purchases or ads. 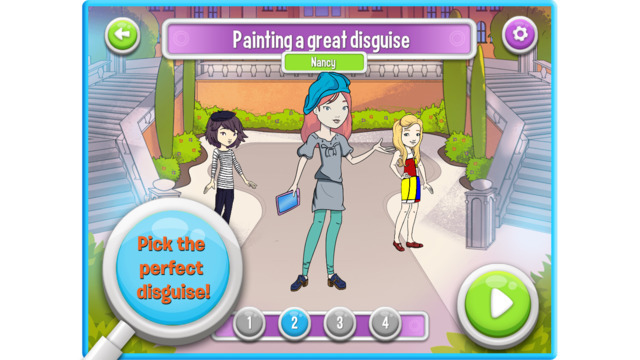 Nancy Drew: Codes & Clues is a great reboot to the popular classic that is sure to captivate any tech savvy youngster. The app is available now in the App Store and is a steal for only $3.99.